Beginning Farmer Retreat Registration Now Open + New Merch! A group of attendees at the Kalona Creamery tour on Oct. 5 learn about the technology used in the creamery's milk receiving bay. 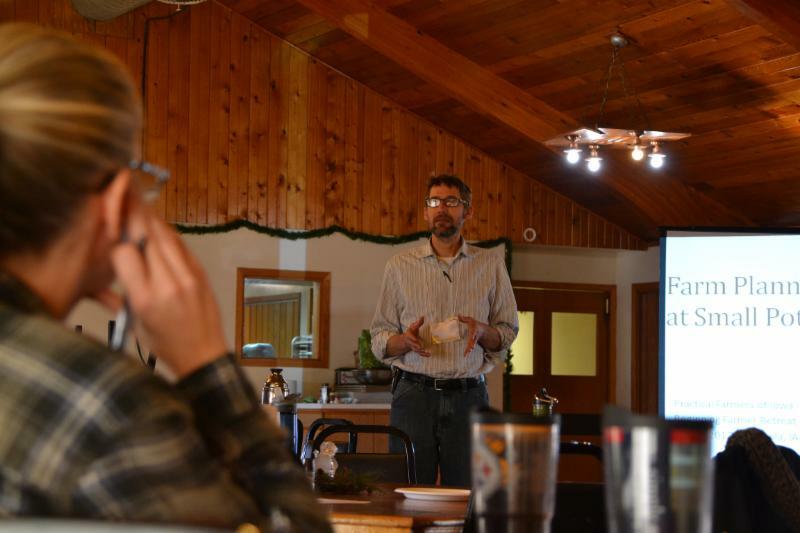 More than 100 people attended the event to learn about the creamery's history and how different dairy products are produced, including cheese curds, ice cream and Kalona SuperNatural organic products. Three groups rotated among the creamery, the production area and the Kalona Farms receiving bay. Beginning Farmer Retreat Registration Now Open! 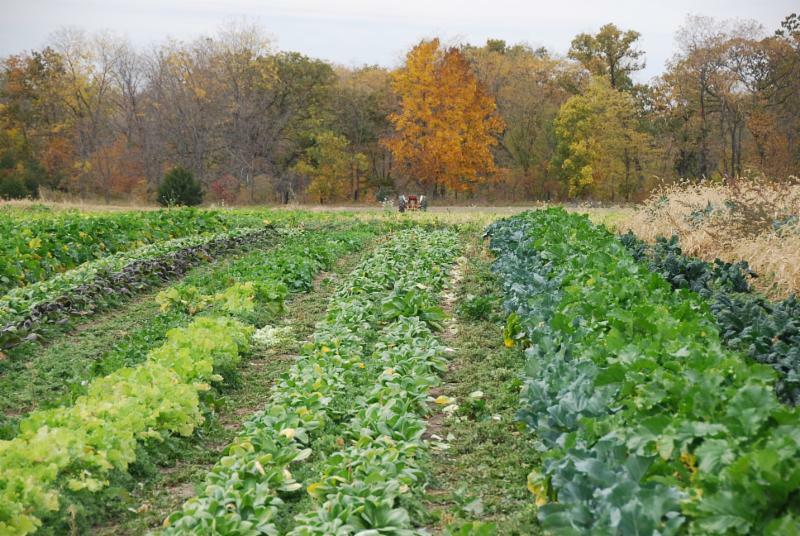 Join us Nov. 30 - Dec. 1 at Pilgrim Heights Retreat Center in Montour, Iowa, for our 2018 beginning farmer retreat! The event brings beginning farmers together to network, plan and discuss ways to improve their farms while helping to build a sense of community among this fast-growing farming demographic. This popular event is beneficial for beginning and aspiring farmers in all enterprises. Register today! Is your current Practical Farmers gear a bit well-worn? Do you want more options to show off your PFI pride? 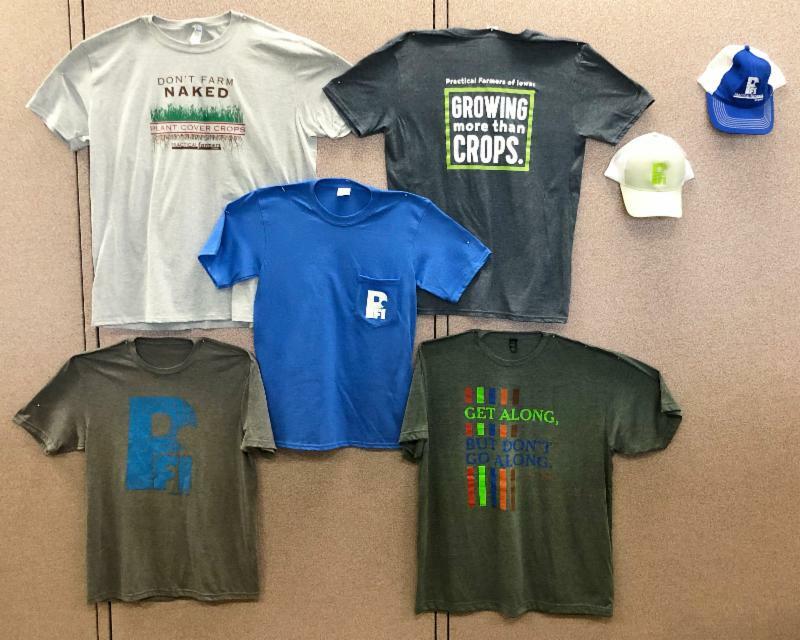 We now have a fresh batch of merchandise featuring some new colors and designs, including a "Growing More Than Crops" t- shirt, a royal-blue mesh-back cap and a gray "Don't Farm Naked" t-shirt. To make your purchase, click here, choose your items and select the appropriate charge for shipping. Your order should arrive within three to five business days! Derek and Molly are the primary farmers at Echollective Farm, a cluster of farmers, interns and volunteers cultivating 14 acres. The farm includes a variety of vegetables, herbs and flowers, and specializes in several heirloom hard-neck garlic varieties. The farm distributes produce through a CSA, New Pioneer Food Co-op, restaurants and farmers markets in Iowa City and Cedar Rapids. 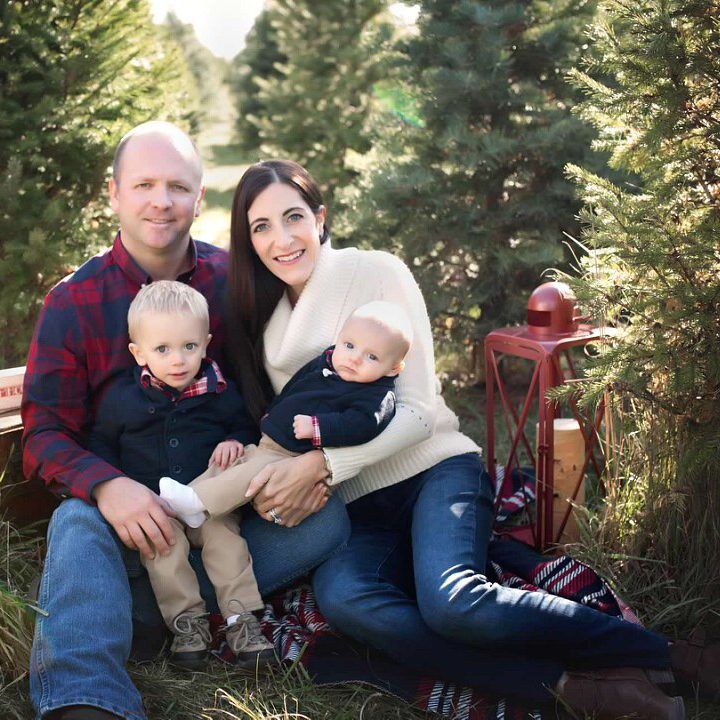 Derek and Molly value social justice, soil restoration and healthy food and communities. Lear more on the Echollective Farm website and on Instagram: @echollective_farm.